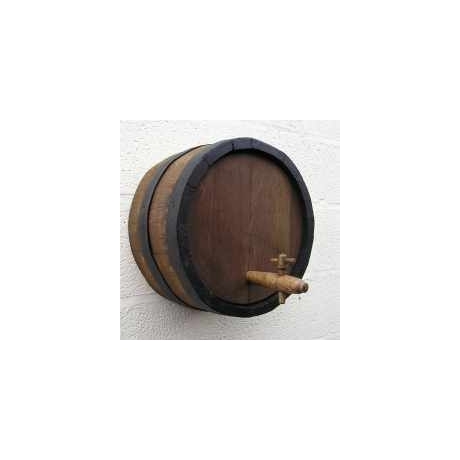 Oak barrel ends are available in a range of diameters and a variety of finishes. They are ideal for use in pubs and bars as signs or just for decor. These dark stained ends have black painted hoops and a dark stained finish to the wood. 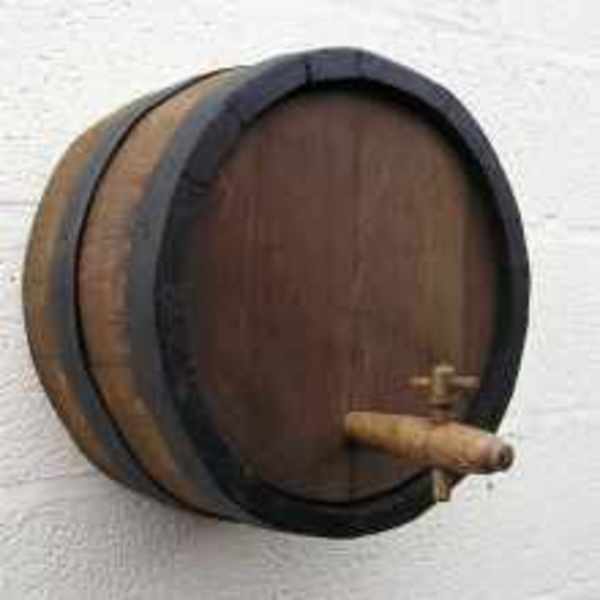 Shallow barrel ends are approximately 8” (20cm) deep. Diameters are as shown in the table but are approximate since each end has been individually coopered. All hoop iron is nailed in position and the staves are stapled in order to withstand shrinkage in warm, dry environments. Please make your selection above and use the checkbox to select a fitted wooden tap if required.